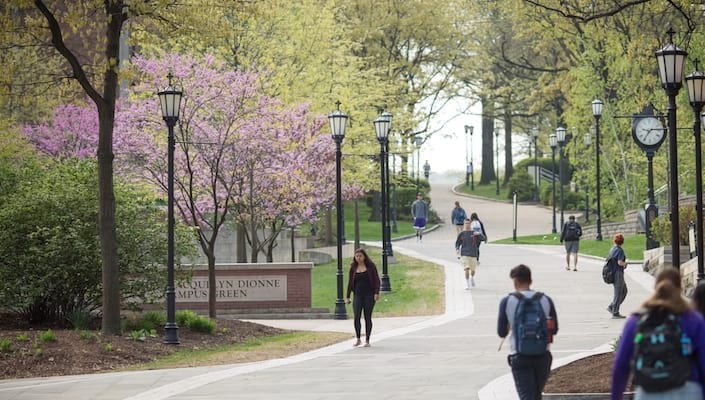 The University of Scranton recently signed a Memorandum of Understanding with The University of Georgia, Tbilisi, Georgia. In addition, Scranton recently received a $100,000 United States Agency for International Development grant to direct an initiative to train health care administrators for a new hospital under construction in Tbilisi. The university is partnering with Moses Taylor Health Care System to implement the year-long project. At the memorandum signing are, from left, representing The University of Georgia, Manana Sanadze, Ph.D., rector, and, representing The University of Scranton, Steven Jones, Ph.D., associate provost for civic engagement and academic mission, Harold Baillie, Ph.D., provost and vice president for academic affairs, and Daniel J. West Jr., Ph.D., professor and chair of health administration and human resources.